Coffee and card this week features this lovely stamp set which is just perfect for the travellers in your life, plus the men of course! 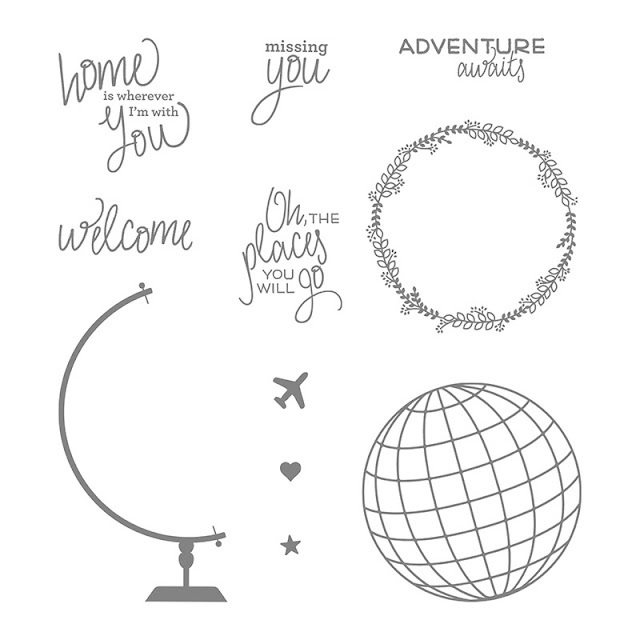 With some lovely sentiments and that fantastic globe, it is such an easy set to use. Our 2" circle punch makes punching out the globe so simple and quick! Use inks and an aquapainter to mix two colours onto the background, then stamp the globe on top. We used Pool Party and Wild Wasabi. Click on any of the photos to view the stamp set information online. At just £14 it is a great stamp set to have for the men in your life. We also used the Gorgeous Grunge stamp set or Timeless Textures to create the background on the cards.